Three Singles: Toto, "Orphan," Black Star Riders "The Killer Instinct," and Revolution Saints "Back On My Trail"
Three bands tied directly or indirectly to legacies are releasing new albums roughly at the same time. What do their lead singles indicate? It does not feel particularly accidental that three album-oriented rock acts with extended pedigrees are releasing material roughly at the same time. While all three of these singles from soon-to-be-released efforts have surface pleasures, they also have the burden of legacies and ages-old subject matter to withstand. A few do it better than others. 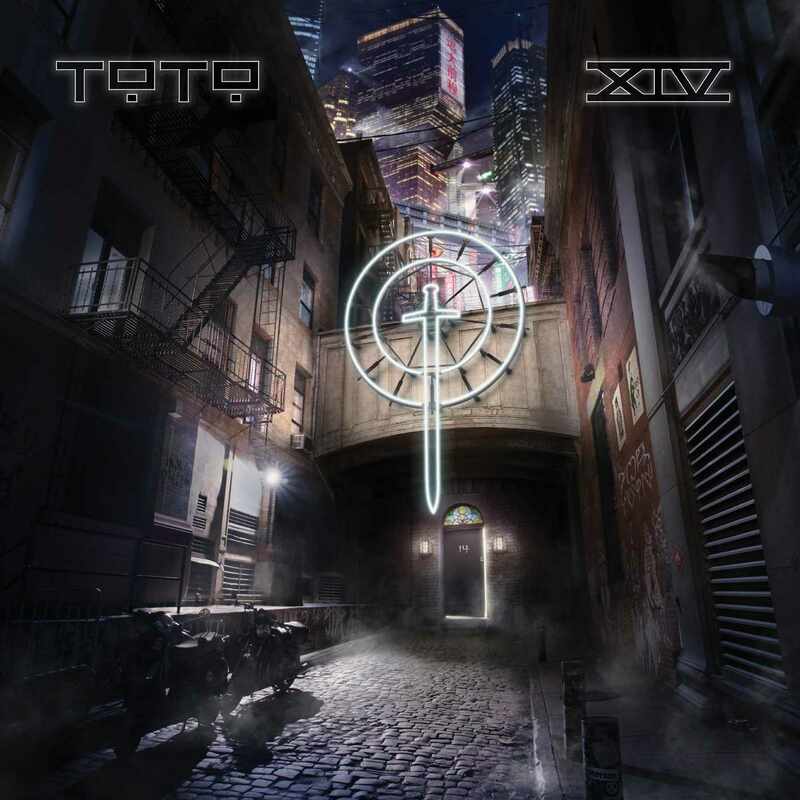 Let’s start with “Orphan,” the single from TOTO XIV, the band Toto’s first album in ten years. The plusses for this track are that it sounds energetic and engaged, and moreover that everyone sounds like they are in the same room. Judging from the time away, and from guitarist Steve Lukather’s assertions in the previous ten years that he didn’t think Toto would ever reunite, the possibility that the record would have been cut and pasted from recordings emanating from all over the map was not discounted. If “Orphan” is emblematic of the rest of the effort, the group’s much-lauded production credits remain unscarred. Another plus, the return of vocalist Joseph Williams to the fold means that Lukather, while having proven himself to be ably capable of manning the mic, doesn’t have to go it alone. The negative is that the song is one in a long history of affirmation/inspiration songs that have been plaguing pop since the beginning. The chorus of “If you believe in each and every one of us, you’re never alone in the world,” or the outcry of the world being in so much poverty, is dissonance coming from a band as successful for as long as Toto has been, even in the current diminished state all legacy acts face. The sentiment is heartfelt, I’m sure. It’s just that the messenger needs to be younger, scrappier, possibly poorer that the one we have to really make the whole thing jibe. Even so, this is a promising start. Williams sounds great, and so do Lukather’s guitars. And while “Orphan” shows off Toto’s rockier side, it is important to remember that Toto was never a hard rock band, but more like an adult contemporary band that could easily slip into a rock vibe (see “I Won’t Hold You Back,” “Pamela,” “99,” “Hold The Line” up until the chorus, you get the idea). “Orphan” is a smart lead-off single, even with the drawback of sounding slightly like it’s supposed to be good for you. Far more confusing is “The Killer Instinct,” the single from the forthcoming album of the same name from Black Star Riders. It sounds exactly like a Thin Lizzy song, as it should. Only it’s not. Confused? The standard-bearer for the band Thin Lizzy was the magnetic singer/guitarist Phil Lynott, who died in 1986 at the shockingly young age of 36. He’d already had international success with “The Boys Are Back In Town,” “Jailbreak,” and “Don’t Believe A Word.” Metallica revived their classic “Whiskey In The Jar” for their Garage Inc. covers collection. And the band Thin Lizzy continued on without him, but mostly as an act that relied on the catalog. Cut to the 2000’s. The band is itching to record new material, but not to trample on the memory of Lynott who, in most peoples’ minds is Thin Lizzy. Thus was born Black Star Riders, a group that sounds just the way Thin Lizzy sounds, doing music Thin Lizzy never did. Still with me? Longtime member Scott Gorham is joined by Damon Johnson (Brother Cane) on guitars and vocalist Ricky Warwick who sounds like a long lost relative of Lynott. He sounds great and also crams too many syllables into every lyric as Lynott did, and maybe that’s part of the problem. This is Thin Lizzy without being Thin Lizzy, so is this the band or a well-functioning tribute band? I suppose both. I suppose that shouldn’t matter, and if the lead-off single was a little stronger subject-wise, there would be a lot less ambivalence involved. But the subject of this being a tough (tuff?) world, and you gotta be tougher and fight it out is such a hard rock cliche. It was a fall back for the original lineup of the group too, so it is no surprise that they took it on. The song also sounds great, but that confusion of new band/old band, and the adoption of the best and worst traits of them and the genre as a whole, leaves the listener unmoved. Sounds great loud. That’s probably how it will be played, but not more than a few times. It is well-crafted and yet still somewhat unremarkable. Hopefully the rest of the album has more of a unique identity. Speaking of identities, another group is adopting a sound structure with a brand new name, yet my response is different. 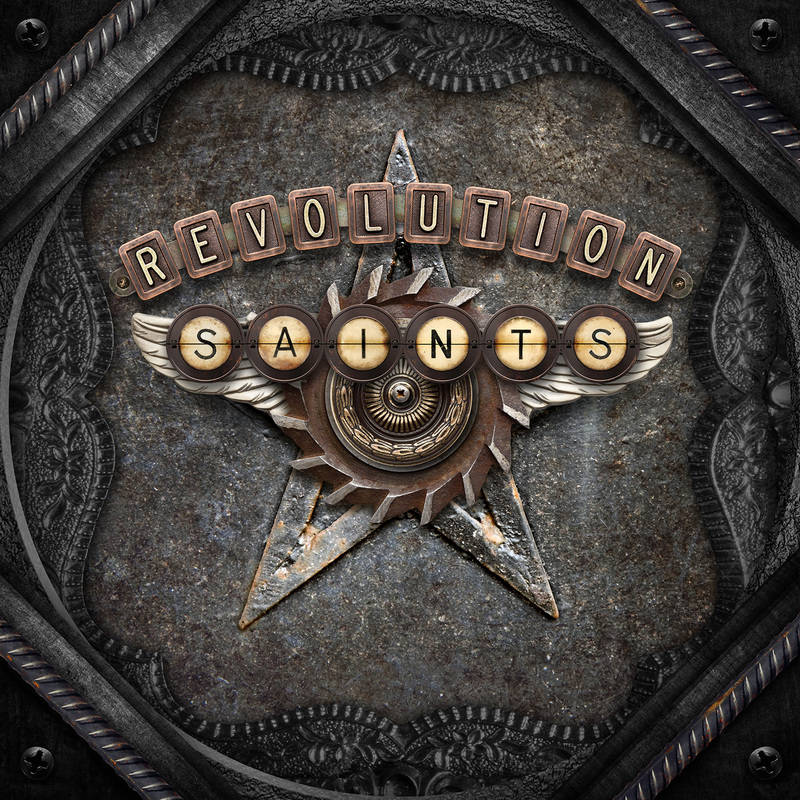 Revolution Saints, with the unholy combination of a rather lunkheaded band name, Jack Blades (Night Ranger, Damn Yankees), Doug Aldrich (Whitesnake) and Deen Castronovo (Journey), looks on paper to be a disaster. Yet I enjoyed the cut “Back On My Trail” more than any other song in this write-up. It is loud AOR rock, as befits the constituent parts, but it is not the Journey shadow band one expects. Sure, Castronovo sounds right in line with Steve Perry and Sam Cooke, but there is a harder edge to the track than expected. Also, if this one song is an indication, this group intends on having its own identity. 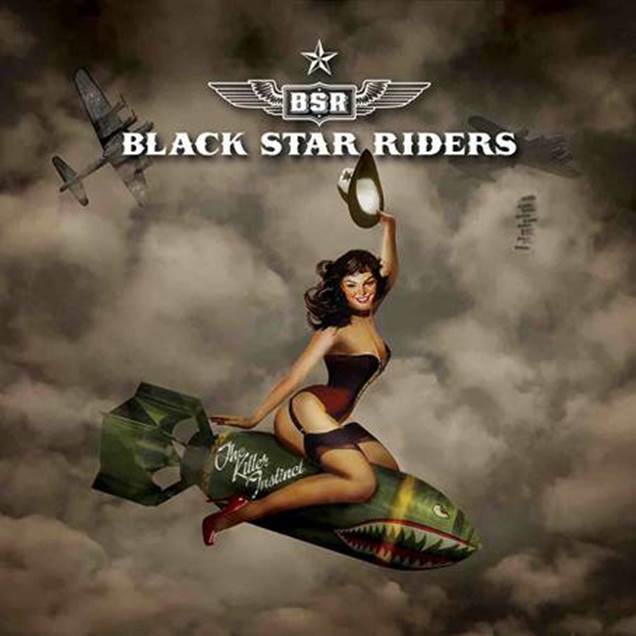 That is something that I found Black Star Riders to be in serious need of. No, the lyrics of “Back On My Trail” aren’t high poetry either. I suppose you just aren’t going to get very deep and meaningful lyrical content without lapsing into types. That is something each group in this overview is lacking, but that’s likely something the diehard fans of this particular rock form are least concerned about. They want something that gets a bit of an adrenaline pump going. They want the melodicism that metal regularly eschews for abrasion and hostility. The good news is that all three achieve that without being embarrassments to themselves or their legacy links. Could they have achieved more? Probably, but they have specific audiences, and this is what those audiences want to hear. On that level, each is a successful single and encourages the consumer to try the rest of the records. We’ll see if any of these take advantage of stretching beyond their constraints.